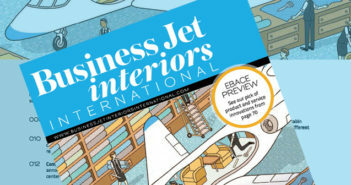 Details have been revealed concerning nice Touch CMS, a Bombardier-designed CMS platform for the upcoming Global 7000. The CMS was developed in collaboration with Lufthansa Technik and will be displayed at EBACE 2018, to be held in Geneva, Switzerland, on May 29-31. The system combines physical and digital interfaces. It includes the Bombardier Touch dial, claimed to be the first application of an OLED display in a business jet. It provides control of IFE and cabin settings within easy reach of passengers’ seats. The screen rises from the sideledge at the touch of a finger. Another introduction with this aircraft is suite controllers. These interfaces are mounted on bulkheads throughout the cabin, and are designed to provide ‘home-like control’ of the environment. 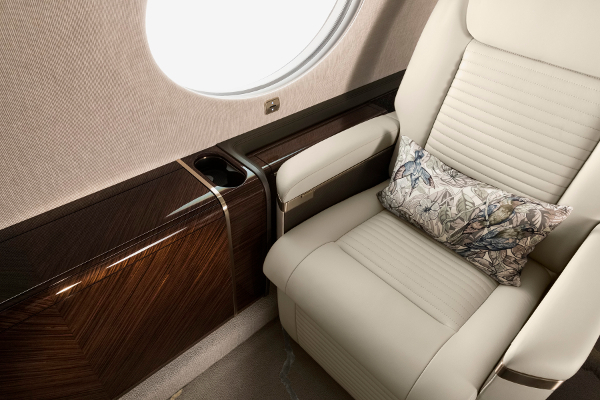 “The Global 7000 jet’s nice Touch CMS sets a new standard in the industry by further elevating the cabin experience,” said Brad Nolen, vice president of marketing and product strategy at Bombardier Business Aircraft. The physical controls are complemented by a nice Touch application for iOS and Android devices. It’s content aggregator is designed to provide easy access to all media, while a selection of preset lighting schemes offers “limitless” custom color combinations. “With a 10Gb fiber-optic architecture and dual wireless access points for redundancy, the nice Touch CMS provides an easy and reliable way to control all cabin functions so that passengers can easily transition between productivity and relaxation,” said Andrew Muirhead, vice president of the Original Equipment Innovation division at Lufthansa Technik. The nice Touch CMS is capable of delivering 4K UHD content. There are two media centers on board, which will provide on-demand audio and video to any suite. Large cabin monitors are available to make the most of it. Ka-band internet connectivity enables passengers to surf the internet and stream the content they want. The Global 7000 has four distinct living spaces. Highlights include its galley, a master suite with a permanent bed, and an available en-suite that has a stand-up shower. The aircraft has a maximum range of 7,700 nautical miles. Its design recently garnered a 2018 Red Dot Award for product design.